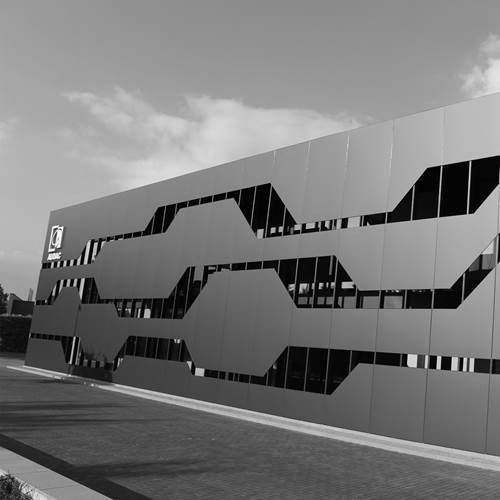 Since the very beginning, as a small company in Belgium, AUDAC has evolved to become one of the world’s most innovative audio companies, specialising in commercial audio and AV solutions that make a difference. 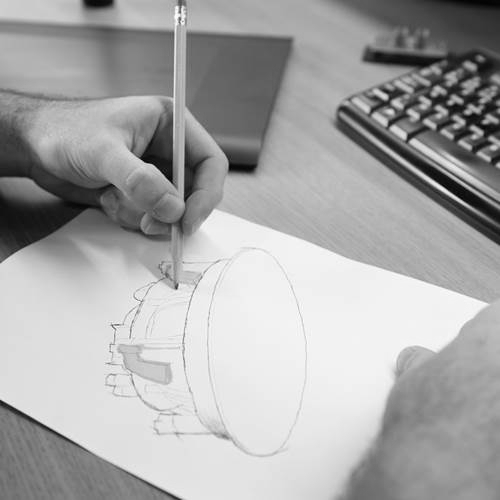 With an extensive engineering team, AUDAC designs, engineers and manufacturers market leading audio solutions. With a solid history of innovation including the worlds first steerable column array and the worlds first web based multimedia matrix. AUDAC offers a range of installed sound products that embrace technology and innovation that meet and exceed the demands of system integrators. Today, after more than 30 years, AUDAC stays true to its original foundations of thinking out of the box and offering reliable, great-sounding solutions. 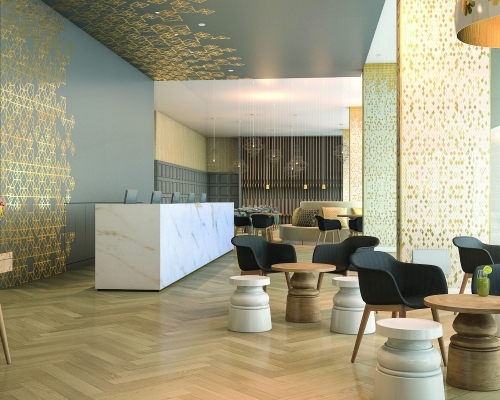 Specifying a background music system for a business such as a cafe, shop or hotel needn't be difficult. AUDAC have done some of the hard work for you with their range of set solutions based around the innovative NOBA8A subwoofer and system hub. The NOBA8A incorporates three amplifier channels with a total power of 600W and a WaveDynamics digital signal processor to power itself and up to 8 satellite speakers. 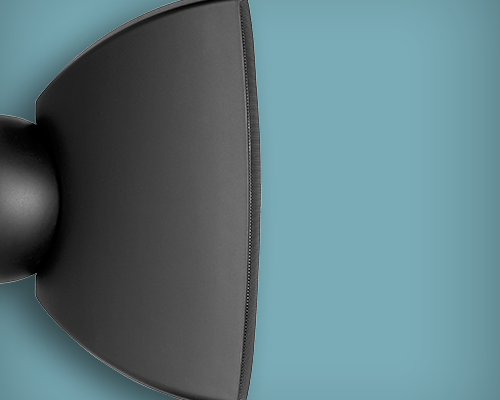 The slim NOBA8A can be mounted under seating, on the wall or ceiling and when paired with ultra-compact in-wall, in-ceiling or on-wall satellite speakers, delivers a discreet audio system that can be accommodated by any interior decor. Solutions providing great audio systems for business premises. Matrix systems form the heart of all muti-source / muti-zone audio systems, and AUDAC have a comprehensive range to meet the differeing requirements of the wide range of applications that these can be utilised in. From M2 which with extensive matrix routing, EQ, optical linking, and paging capapbility, through to the MTX range of 4 and 8 zone matrix units. All with an extensive range of wall controls, local input devices, and paging stations. All AUDAC matrix systems can also be controlled using AUDAC Touch, which is a total system control platform. Using this free application, user and application specific dashboards can be created and customised, allowing the control for multiple devices from one single application. 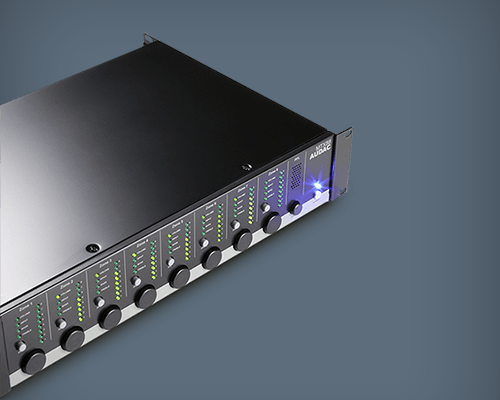 For smaller single room (and even 2 zone) applications AUDAC produces a number of rack mount pre-amplifiers to provide the required source mixing and control in an intuitive manner. 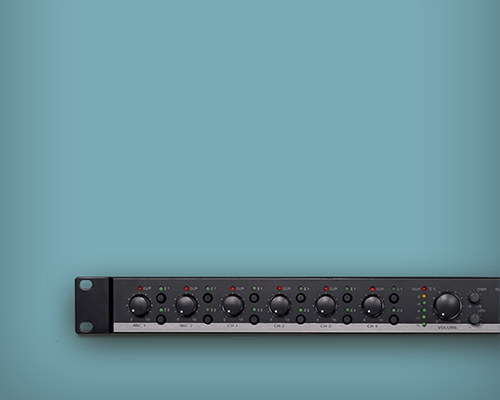 In terms of the PRE116 and Pre126 (6 channel, 1 & 2 zone rack mount pre-amps) the connectivity versatility is enhanced with the addition of Bluetooth. With the Bluetooth technology deployed in these products offering a 30 metre range (line of sight), they offer a true commercial connectivity solution in a modern BOYD environment. For environments with a higher input count, or requiring a fader interface, then the CPR12, 10 channel / 2 zone pre-amp fits the bill. Input volume control is done using the corresponding rotary dials on the front panel, while the output section features a 6-segment LED VU bar, a master volume control and 2-band tone control. Connections and input or output configurations such as gain adjustment and mono/stereo switching can be done through the provided controls on the back of the device. AUDAC offers an extensive range of wall controls and user interfaces, from the comprehensive smart controls like the MWX65 that can be intergator programmed and provide the end user with source, volume, and EQ control while also providing a mic and line local input. With an integrated 2.5" colour screen the MWX65 provides the user with an easy to understand interface for their audio system. For applications requiring a simpler control there is the MX45 that provides source and volume control. In addition to the comprehensive range of wall controls AUDAC also provide a full range of installation accessories including flush and surface wall boxes and cover frames. Thanks to their own engineering team and specialist amplifier designer, AUDAC have been able to design and manufacture an extensive range of power amplifiers delivering power levels up to 750W @ 4 Ohms. The EPA range is a comprehensive range of 1U, 2 and 4 channel convection cooled amplifiers delivering power levels upto 500W into 4 Ohms. 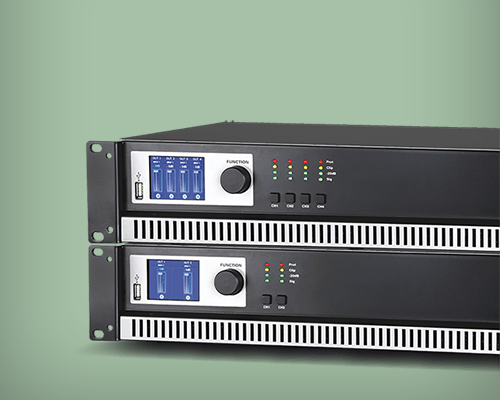 The lack of a fan makes these amplifiers ideal for installations where the equipment rack is in room, such as installed in a credenza in a meeting room. The SMA / SMQ amplifiers are 2U, 2 and 4 channel fan cooled amplifiers that delivery upto 750W into 4 Ohms, and have integral DSP on board. 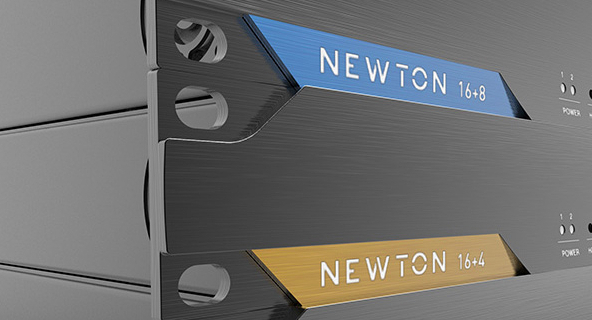 These amplifiers can also be fitted with an option Dante card allowing them to deployed in networked audio applications. The AMP family of amplifers are mini stereo amplifiers each delivering 2 x 15W, and are ideal for small meeting room spaces. The AMP523 in particular can has 4 stereo line inputs, 1 mic input, and can be controlled via AUDAC Touch. All audio systems need sources, and AUDAC pays great attention to their range of multimedia sources. From the traditions stand alone players like the CMP30, which is an all in one digital audio player and combines a CD player, MP 3 player, and AM/FM RDS tuner, to the single stand alone devices like the DSP40 DAB / DBA+ FM tuner, the ISP40 internet audio player, and the MSP40 media player and recorder. The jewel crown however is the XMP44, modular audio player. The XMP44 offers 4 bays that can be loaded with the required SourceCon module dependent on the application and clients needs. Modules include a DAB/DAB+ FM turner module, a voice file media player, an internet radio, an FM module, and a media player & recorder module. 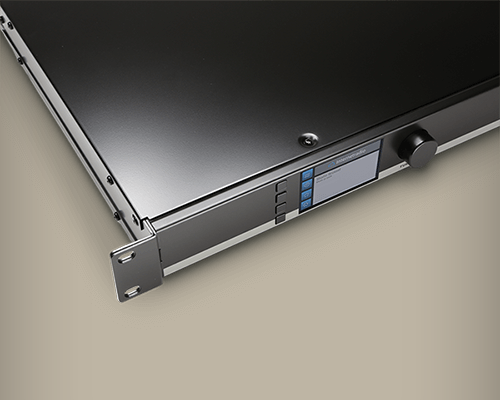 The XMP44 can also be fitted with a Dante module for integration into networked audio installations. 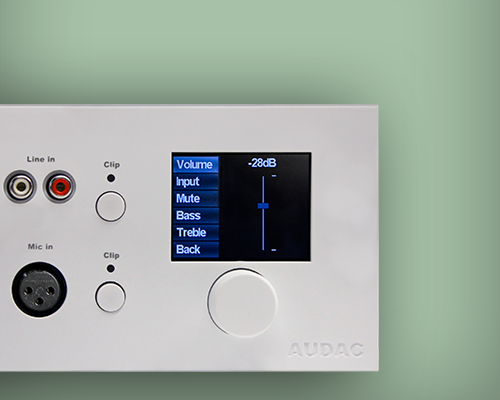 The easiest source of control over this amazing source device is the AUDAC Touch custom control interface. It's no great surprise that the XMP44 has won numerous awards. 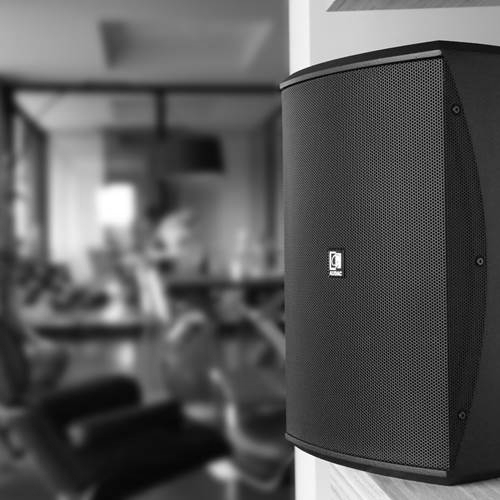 AUDAC's extensive range of loudspeakers meets the needs of most back ground and foreground applications, with indoor and outdoor solutions, and solutions for acoustically challenging environments. From a pair of compact active loudspeakers to go with a smart board, to sound projectors for an industrial paging application, and from high performance 12" two ways and subwoofers for gyms and bars, to a stunning 2" ceiling loudspeaker that's ideal for speech reproduction in a VC environment. If you have an application - then in most cases there is an AUDAC loudspeaker to meet the requirement. 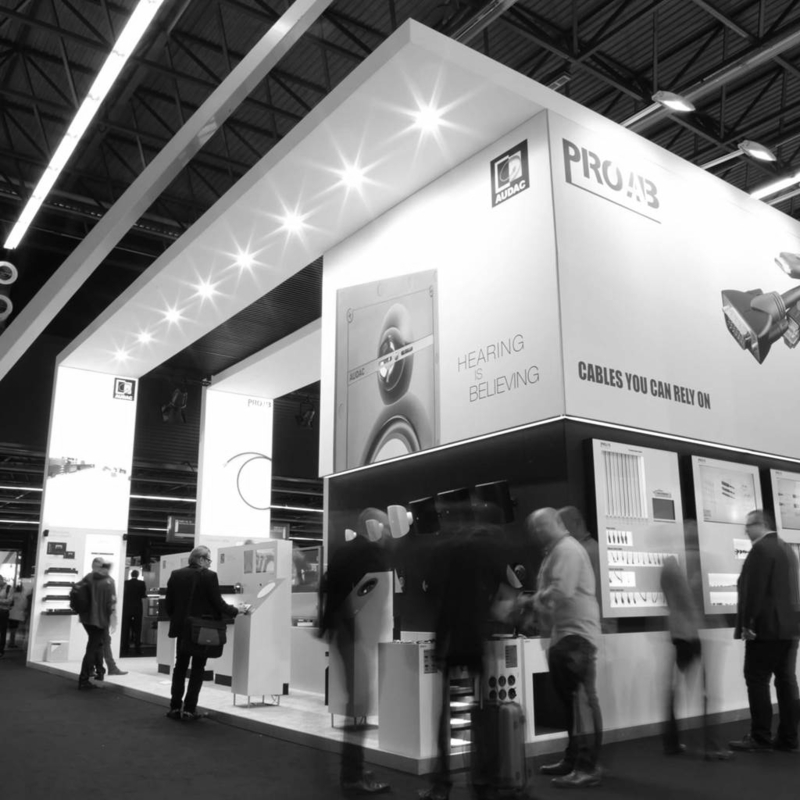 Add to this the numerous innovations such as Clever mount on the surface mount ATEO range and Fast-Con connectors on the CS ceiling loudspeakers all designed to simplify the installation process. This means that AUDAC loudspeakers sound great, look good and don't drive you mad installing them.